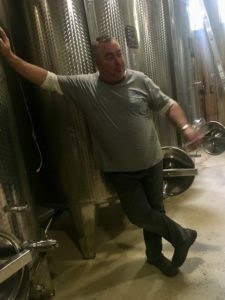 Fabrice Dodane started out with making white wines from 5 hectares in Mathenay, just 8 kilometers west of Arbois in 1989, but was then working for another landlord. Before he moved here he did some years as a winemaker at the co-op in Pupillin. In 2002 he gave up chemicals and has been certified organic since 2008. In 2011 he took over the Domaine and since 2012 he’s been working with very small doses of sulphur or no sulphur at all and works in general with a very natural approach in the winery. Today he has 7,5 hectares, growing mostly Chardonnay and Savagnin but also has a small proportion of Ploussard and Pinot Noir. All vineyards are located around a little hill just behind the village. For the white wines he makes both ‘ouillé’ (topped-up). 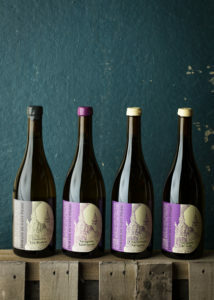 They are ”Burgundian style” with fresh, balanced acidity and a racy salty minerality . The non-topped up ones ‘sous voile’ are intense with ripe yellow fruit along with typical nutty notes together with that fresh acidity and racy, salty mineral finish. His reds are light, red-fruity, aromatic and flirty. Vinification: Direct press before fermenting and then aged for 12 months in 500 and 600 l old oak barrels, before bottling. 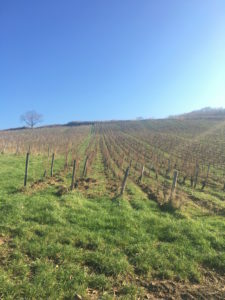 Extra: this vintage, where the whole Jura was hit by a terrible spring frost which left them with very few grapes, Fabrice blended his 3 terroirs of Chardonnay to be able to make one wines. Soil: Blue marl, south to south-west exposition. Vinification: Direct press before fermentation and ageing for 12 months in 500 liter old oak barrels, before bottling. Soil: White marl and chalk, south to south-east exposition. 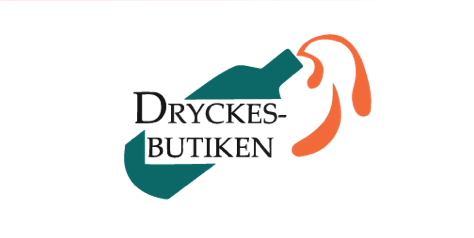 Vinification: Direct press before fermentation and then ageing for 12 months in 500 liter old oak barrels, before bottling. Soil: Limestone and marl, east exposition. Vinification: Direct press before fermantation and ageing for 15 months in 500 and 600 liter old oak barrels, before bottling. Soil: White and blue marl and chalk, south to south-east exposition. Vinification: 9 months of whole cluster maceration and fermentation on old barrels, before pressing and continuous ageing on barrels for 1 month before bottling in September 2018. Vinification: Direct press before fermenting and then aged for 38 months under flor in one old barrique before bottling. Vinification: Direct press before fermenting and then aged for 50 months under flor in one old barrique before bottling. Soil: White marl, chalk and clay. Vinification: 20 days maceration with the skins in open vats, partly whole clusters for the Poulssard, the Pinot Noir is 100% destemmed, before gentle pressing and continuously fermentation and ageing for 8 months in old oak barrels before bottling. Extra: this vintage, where the whole Jura was hit by a terrible spring frost which left them with very few grapes, Fabrice blended his 4 terroirs of res grapes to be able to make one wines. Vinification: 40 days maceration with the skins in open vats, partly whole clusters, before gentle pressing and continuously fermentation and ageing for 8 months in stainless steel tanks before bottling. Extra: this vintage, where the whole Jura was hit by a terrible spring frost which left them with very few grapes, Fabrice bought some grapes from a friend in Rhône, to be able to make some more wine and survive.